India Imports Onions As Supply Dips. 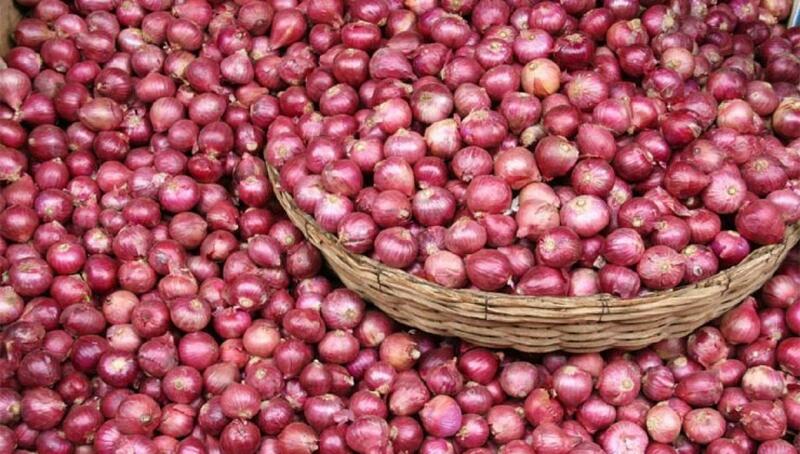 Onion prices in Bangladesh have nearly doubled in the past month due to a shortage in top supplier India..
New Delhi: Onion prices in Bangladesh have nearly doubled in the past month due to a shortage in top supplier India, forcing the neighbours to turn to imports from countries such as Egypt, Iran, Afghanistan and Pakistan. The Trading Corporation of Bangladesh said on Wednesday it had sought 450 tonnes and could buy more. Also, India will examine bids on Thursday for a tender to import 10,000 tonnes of the staple integral to South Asian dishes like bhaji, biryani and fish curry. "We're making all efforts to increase supply in the domestic markets and hold down prices," an official at Bangladesh's state trading body said. "This is just the beginning. We will import more onions if needed." Prices have hit 100 taka ($1.29) per kg in Bangladesh and 80 rupees ($1.2) in India as scant monsoon rain delays plantings. In 2013, prices hit around 100 rupees in India, leading to protests across cities and making it a political issue. To discourage exports, India has more than doubled the minimum export price on onions, while some state governments are rationing subsidised sales. Both the countries are also acting against hoarders. Bangladesh produces about 1.7 tonnes a year against domestic demand of 2.3-2.4 million tonnes. Indians consume about 15 million tonnes of onions and exports about 1.5 million tonnes.